CrossFit CHALKBOX | Do you want to be CrossFit trainer? Do you want to be CrossFit trainer? You might have seen this post before we recently successfully added new coaches to team and continue to be on the look out. We are big fan of growing our own coaches from intern to a coaching position at ChalkBox or add coaches who truly got a drive for helping others to achieve their fitness goal. If you think you got what it takes read further please. We are looking for an intern or experienced coaches to join us. We will help to develop you as a trainer and as an athlete. Our aim is to have you being proficient in the instruction of CrossFit movements and capable of teaching CrossFit classes at Chalkbox. You have also got the opportunity to contribute to day-to-day running of the box. We are designing a new schedule with new classes and can be flexible. We might not have many hours for you to start off with but we offer the opportunity to together grow the box & community. 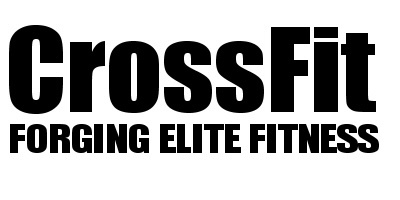 This is a role for one who is passionate about CrossFit and is driven to share his/her experience with others. We are not fuzzed about your walk of life, we care about integrity, drive and your desire to help anyone to improve their health & fitness. being independent in coming to the box. Any other areas of expertise would be very welcome (Kids, Olympic Weightlifting etc ). If you don’t have all of the above requirements and you are interested we ask you to challenge & surprise us with your enthusiasm for CrossFit and we promise we will consider every application for the role. If you would like to apply for this role we ask you to write to agnes@crossfitchalkbox.com with your motivation why you want to become a CrossFit coach.